Click the button below to add the 2016 Orbea OIZ 29 Performance Frame to your wish list. Orbea’s Oiz OMP does exactly as the Oiz OMR, with only one change. 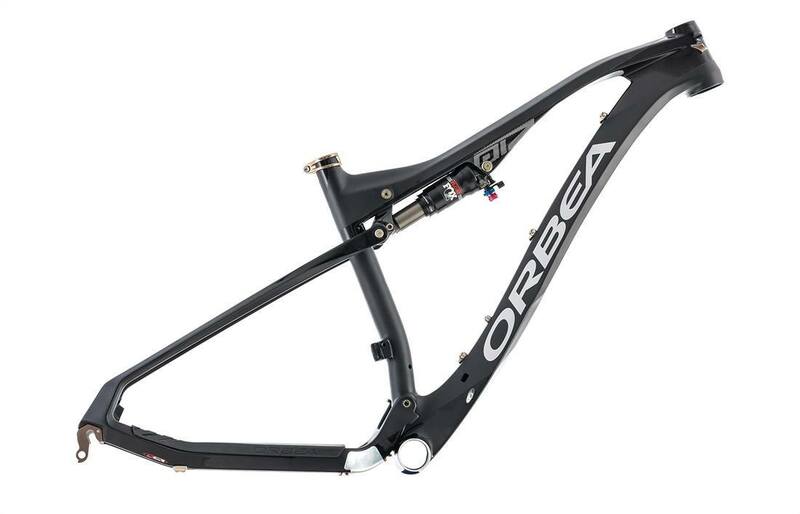 The OMP utilizes Orbea Monocoque Performance carbon. This is Orbea’s second-tier carbon mix, which goes a bit lighter on the high-modulus fibers to save lots of cash while barely changing performance. 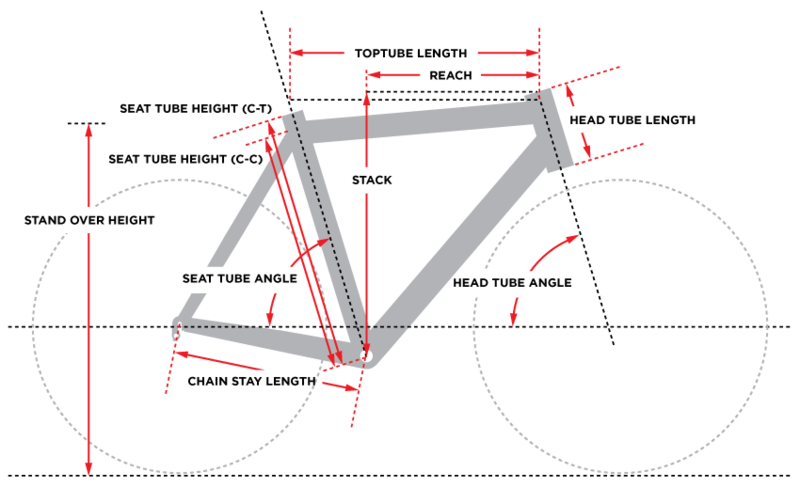 As the bike comes out of the same molds, shares a geometry, features, and ride. Orbea’s Big Wheels Concept figures prominently in the design. Simply put, big wheels are better, but not everyone can ride 29ers. This is why they offer the Small, Medium, and Large frames with 27.5” wheels and the Medium, Large, and Extra Large frames with 29” wheels. Each frame is tweaked accordingly to maximize the wheels’ agility. Taming the big wheels to feel as agile as 26” hoops while still rolling like nobody’s business is a feat. Orbea teased out this reality by keeping the chain stays very short, lengthening the reach so that shorter stems work better, and slackening the head angle so that the bike can turn fast on treacherous steep stuff. The rear suspension works better because it works different. The resistance curve is such that you can access all of that travel, with regressive leverage. If you want a classic XC ride, you can set 15-20mm of sag and you’ll experience a firm ride that still goes all the way. In terms of small-bump sensitivity, the seat stays take care of that, called UFO or U-Flexion by Orbea, they’ve strengthened the stays by building the right chain and seat stays and one unit, the left as another, and making the chain stays blocky and stiff and the seat stays flexy. Because they’re so compliant, they don’t need pivots at the rear axle. Another plus of removing pivots is reducing weight. They’ve gone further on their frame diet by molding the rocker that attaches the seat stays to the shock, and join it with a steel bolt and cartridge bearings for durability and stiction-free movement. The big bearings and the full-carbon swing link are supported by what Orbea calls Tensegrity, a steel strut in the joint between the linkage and the seat stays. It resists lateral forces and is still light. The rest of the bike has received the same attention to detail. The head tube is designed for 1 1/8” to 1 1/2” steerer tubes, providing great torsional stiffness and minimal weight gain. There’s a direct mount for the front derailleur, making it easy to choose either a 1x or 2x drivetrain. The rear brake caliper is secured to a direct post mount because it’s simpler, lighter, and virtually eliminates chatter caused by harmonic vibrations. The bottom bracket is the light, stiff, and internal BB92. Cables run internally, and they can accept either electronic or mechanical shifting. You can even hook up iCD shocks to get electronic control over your damping. If you go electronic, the battery will reside in the 31.8mm seatpost. And it’s all covered by a lifetime warranty.